Do you have Prison Journal? - Ask Us! Q. Do you have Prison Journal? I need some issues from 2010. 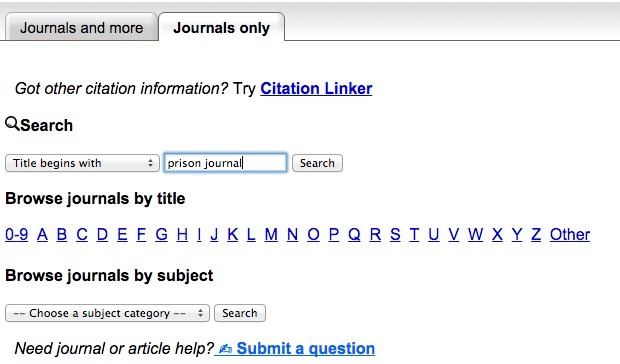 The Library does have Prison Journal. 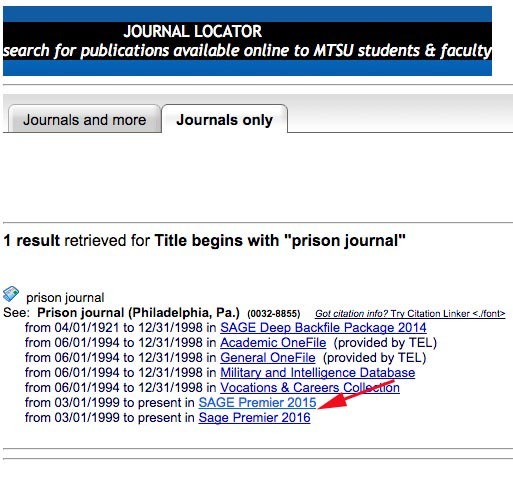 I typed "prison journal" in the Journal Locator link located on the Library home page. Below are the results. 2010 issues are available from Sage Premier.